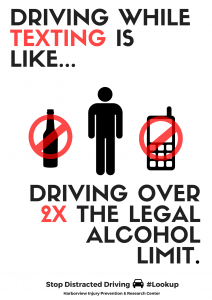 Distracted driving affects thousands of people every year and has become a growing concern for everyone, from pedestrians and passengers to drivers, policy makers, and law enforcement officers. 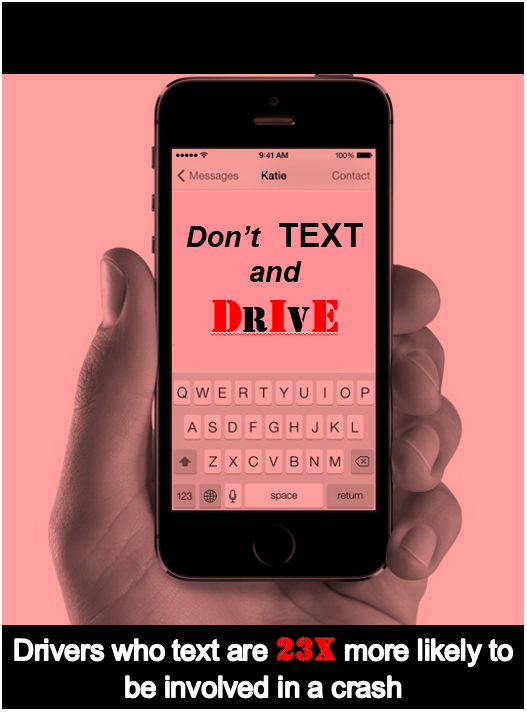 More than 70% of drivers read text messages while driving. 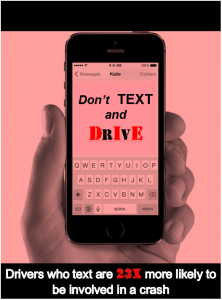 Nearly 50% of drivers write text messages or emails while driving. 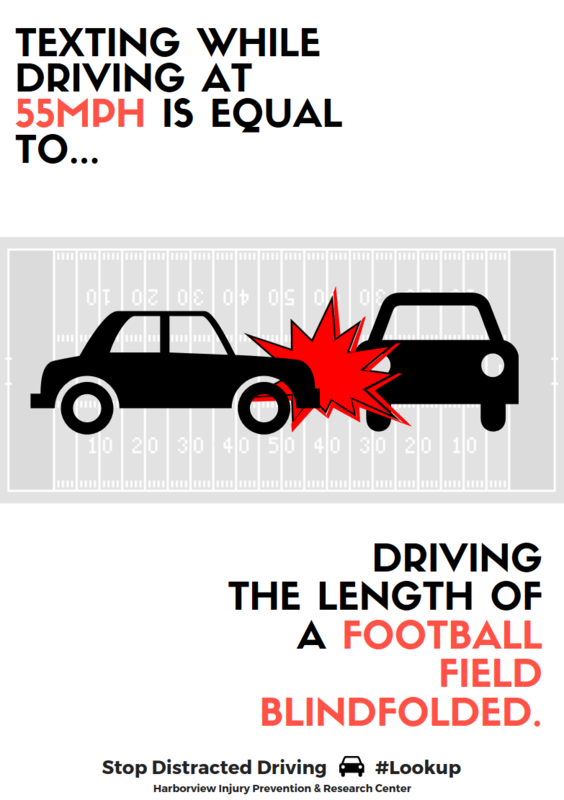 Join the campaign and help combat pervasive myths about distracted driving in your community! Some resources to help get you started can be found below. 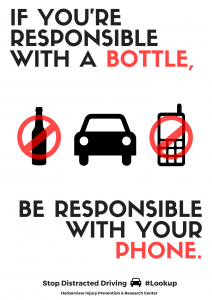 Currently, the majority of the population is well aware of the dangers associated with driving while under the influence of drugs or alcohol but do not recognize the risks that are also associated with distracted driving . 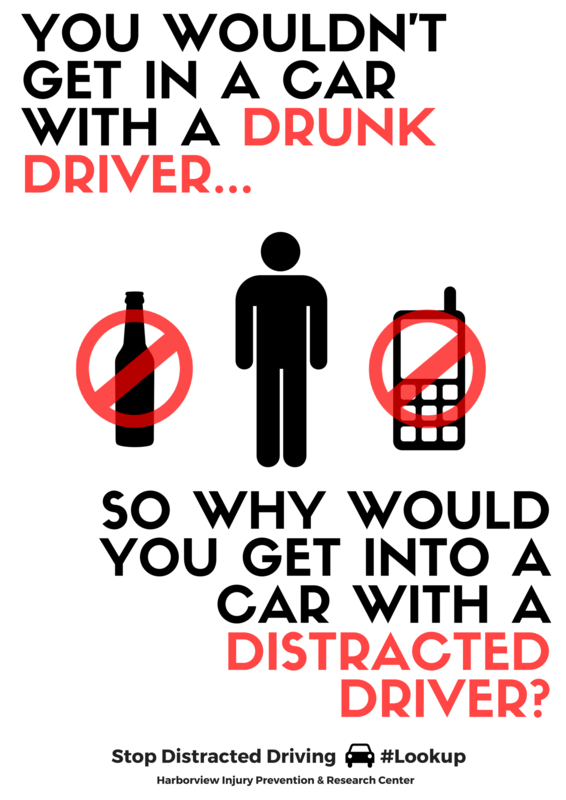 For example, texting while driving is equivalent to driving at double the legal alcohol limit, and in 2014, distracted driving killed 3179 people and injured 431,000 more. 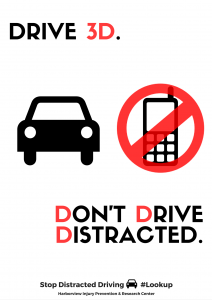 The goal of this campaign is to educate the public on the dangers of distracted driving with the hope that it will lead to a change in their attitudes towards it. 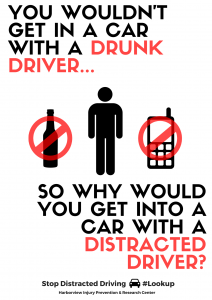 What are the laws regarding distracted driving in Washington State? 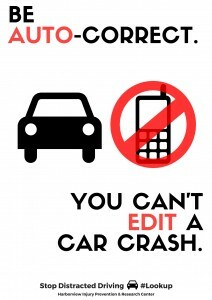 The Revised Code of Washington (RCW) States that: “Handheld cell phone use and texting is prohibited for all Washington drivers. 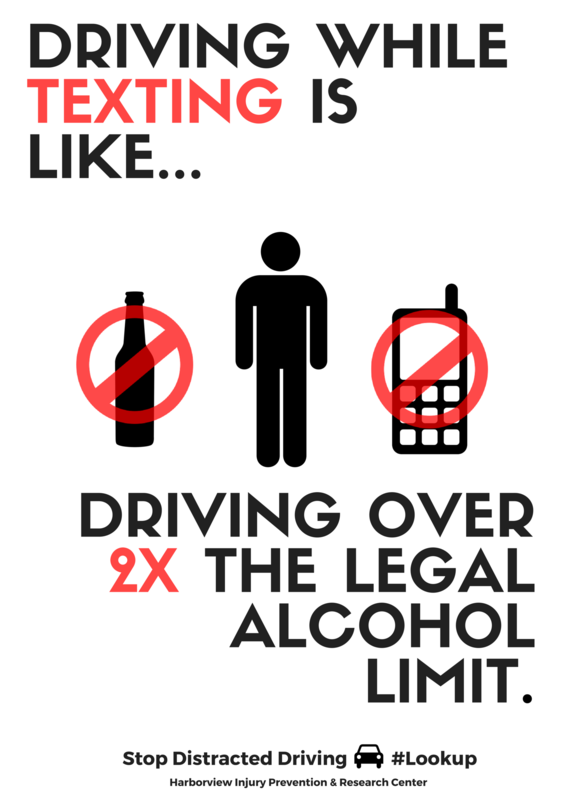 All cell phone use (handheld and hands-free) is prohibited for novice drivers.” It also states that drivers who are pulled over for distracted driving are subject to a $124 fine. Find the full RCW text here. Is it safe to use a hands-free device to talk on the phone while driving? The short answer is no. 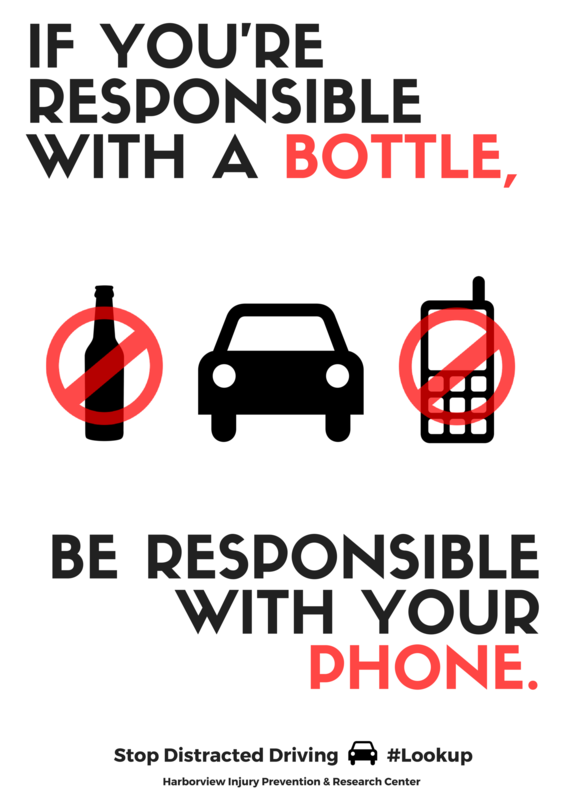 The safest thing you can do is pull over if you have to talk on or use your phone for any reason. 660,000 people are on their phones while driving at any given moment. 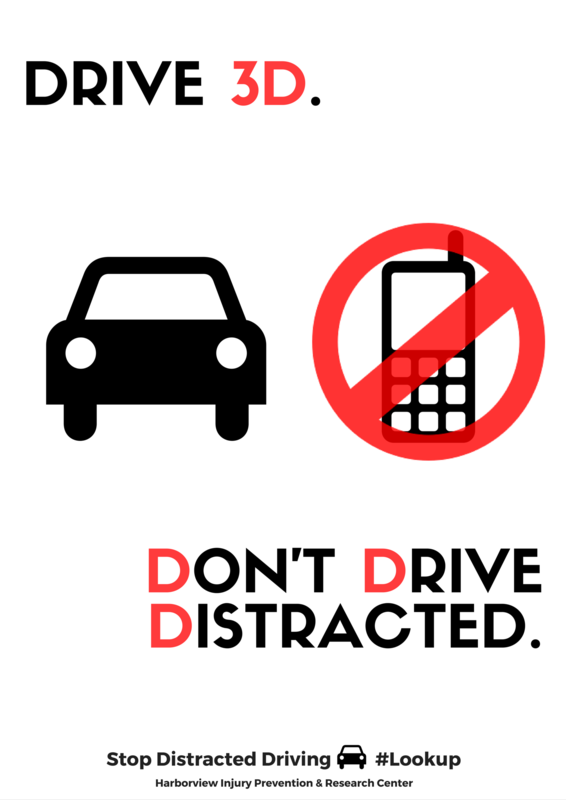 Ten percent of all drivers 15 to 19 years old who were involved in fatal crashes were reported as driving distracted at the time of the accident. 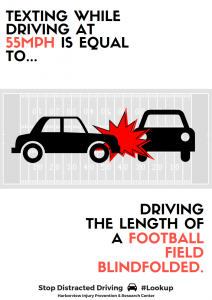 In the time that it takes to read a text message while driving at 55 mph you have traveled the length of a football field, blind to your surroundings. Mild Risk: Changing the channel on the radio. High Risk: Talking on the phone. 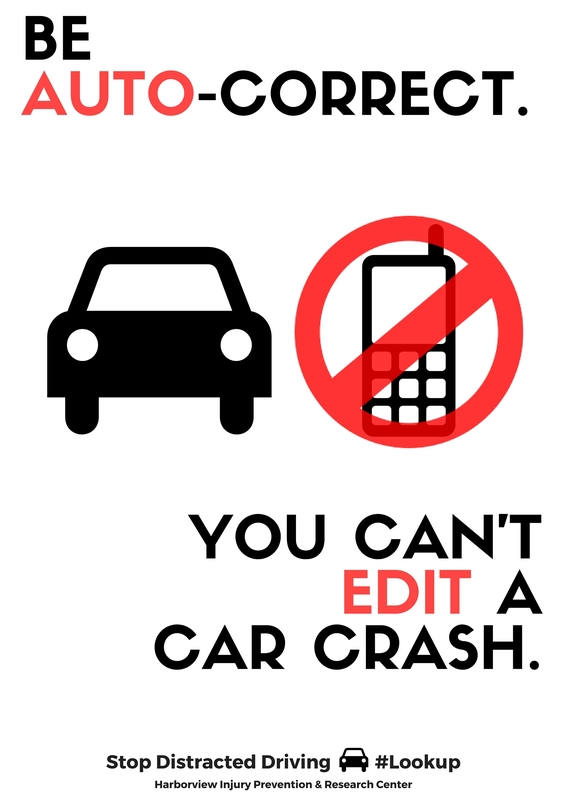 In 2014, 3,179 people were killed, and 431,000 people were injured in motor vehicle crashes involving distracted drivers. 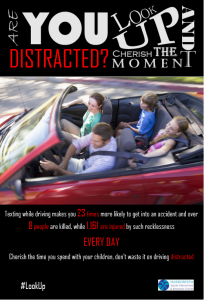 Help combat distracted driving – download, print and hangup any of our posters in your neighborhood!